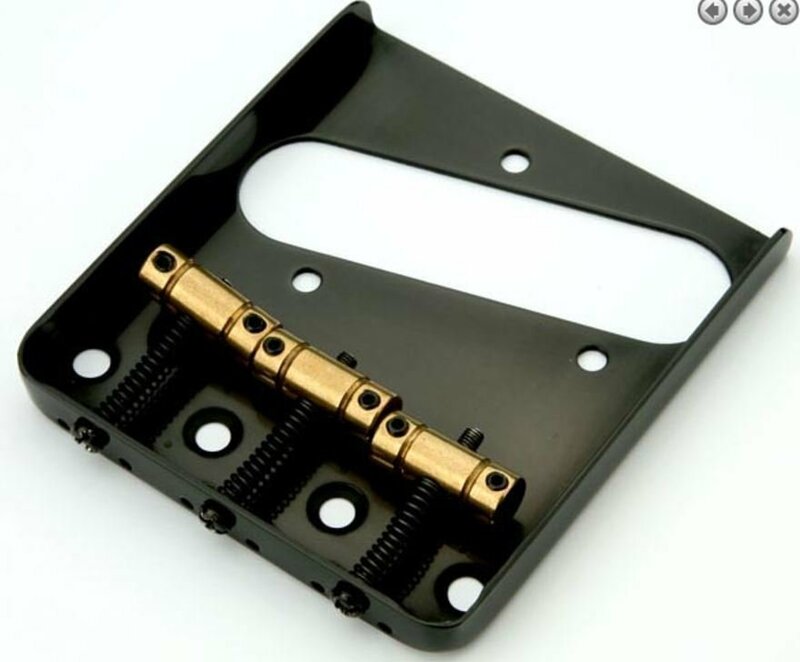 This is a high quality, Vintage Style Bridge, offering individual string height and paired intonation adjustment. You can load the strings from the Back or from Underneath. String spread: 2-11/64" (55mm) between the outer most strings.